This book is the beacon, guide and the support that you might need it this journey. This book explains that if you are able to sort out the problems within, and overcome your weaknesses and solve the imbalance in your mind then whatever you want would surely materialize. This book would tell you how to do all this. You would be able to identify your own problems and find the keys to solve them. I am immensely satisfied by this trilogy written for the students. In this hour of happiness, I would like to ask for the good wishes of my readers and the blessings of their parents and guardians. After having completed his M.A. and PhD, Dr. Vijay Agarwal qualified in the Indian Administrative Service examination, which is believed to be the toughest in the country. After having taught in the University for a period of five years, he was appointed as the private secretary of the former president of India, Dr. Shankar Dayal Sharma, and held his office for ten years. Dr. Agarwal has the experience of interacting with the faculty and the students of fifteen different countries across the world. Dr. Agarwal is also a member of the guest faculty in many reputed institutions. 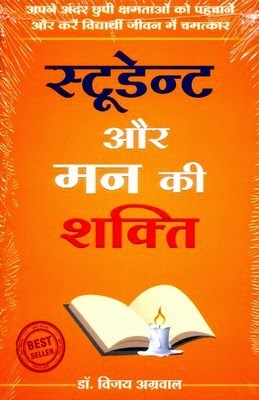 He has written many books, among which is also his best seller 'Samay Apki Muthhi Mein'. His exclusive TV programs which are played on channels such as Zee Jagran and Zee News, including 'Manthan ke Moti' and 'Sada Safal Hanuman', have been well received nation-wide. What are the Characteristics of the Human Mind ?